Organic Maple Syrup (100%) European Grade C, Canadian Amber grade, US Grade B.. Produce of North America. Organically grown. Not suitable for Peanuts, other nuts and sesame allergy sufferers. The Meridian Organic Maple Syrup 250ML product ethics are indicated below. To learn more about these product ethics and to see related products, follow the links below. lovely stuff, brilliant on porridge. Wish, it would have been stated that these are wrapped with plastic. Great flavour, good value for money - another product I have to buy in bulk because my kids love it! 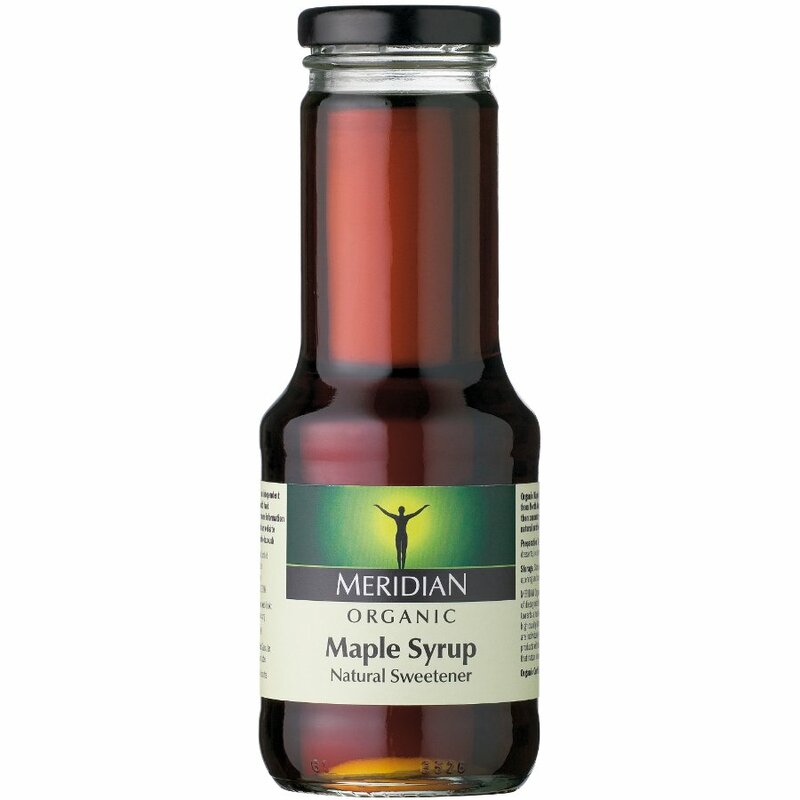 There are currently no questions to display about Meridian Organic Maple Syrup 250ML.